Am I doing something wrong if I make a huge decision and don’t wait to hear from God? (Elizabeth Prata – The End Time) Does the Bible speak to whom we should marry? Which college to attend? Whether to join the Army? Should we relocate to another state? Change careers now, later, or never? Go back to college? 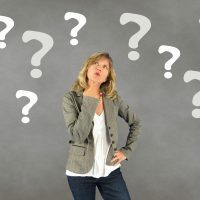 Christian decision-making … I’m often asked these very questions by women who care about being obedient to the will of God. But the Christian culture of the last generation has introduced a mysticism to decision-making (and to Christian life in general) that unfortunately includes waiting for personalized whispers, looking for signs, or other extra-biblical methods that will guide them along in deciding things that aren’t directly in the Bible.